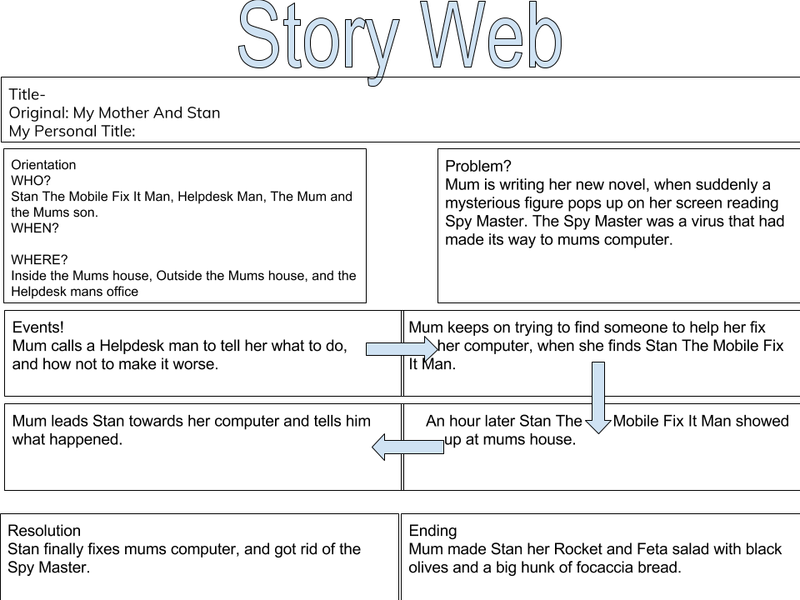 As an extension for our reading, we had to use the Story Web template, and get use the information from the story, My Mother And Stan. We would explain each part of the story in detail with what happened, and how it happened. 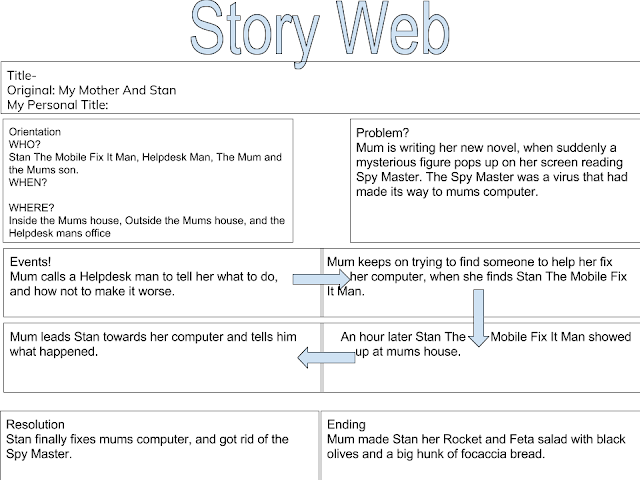 We would explain what happened in each part of the story as well, e.g the orientation, problem, events, the resolution, and the ending.